State-owned forestry company Coillte is eyeing a quick return to the wind energy sector, through a potential joint-venture development company with the ESB. The two are in talks aimed at forming a renewable energy joint-venture solely focused on onshore wind farm projects. The aim is to generate around 1,000 megawatts of renewable energy, enough to power around 500,000 homes, by 2030. Coillte’s renewable energy team would run the business and the wind farms would be built on the company’s existing land bank across the country. In essence, the ESB will be acquiring a 50% stake of Coillte’s renewable energy division for the full market value. Both companies hope to reach agreement on the deal by the end of May. Coillte sold the vast bulk of its wind farm interests to Greencoat Renewables for more than €280m last September. 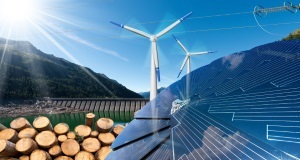 However, rather than reflecting a retreat from the sector, the sale was a mechanism to raise funds for a more concerted tilt at the renewable energy business. It is understood that development costs attached to the kind of output Coillte and the ESB are planning would amount to between €1bn and €1.5bn. A spokesperson for Coillte said the targeted output by the proposed joint venture would result in “a significant contribution to help Ireland’s energy transition”. Coillte had owned 50% stakes in three wind farms, which it has now sold, and a 25% holding in one, Sliabh Bawn in Roscommon, which it has kept. Coillte has previously said it would explore a range of partnerships in relation to its future renewable energy ambitions. It has successfully collaborated on a range of renewable energy projects with the ESB since 2003. The joint venture would also be subject to normal regulatory and governmental approvals. Previous Post:What is going on at Stamford Bridge?